Cumbria Coaches is a small family business based in Carlisle & our foundations are built on reliability, professionalism & most importantly customer service. We operate coaches ranging from 16 seats up to 57 seats. 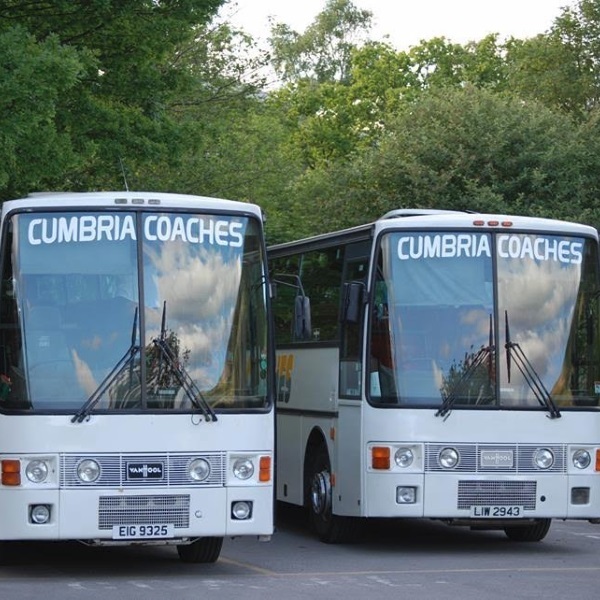 Cumbria Coaches currently operate School Contracts for Cumbria County Council to various schools within the Carlisle area. We operate from a modern secure depot where all vehicles are parked under cover and our modern purpose built office is where the Directors are based who are available to help with all your enquiries. We have in place a modern computerised booking system which means your booking can be amended at the touch of a button at any time. Cumbria Coaches also has in place a state of the art tracking system & cameras installed on all the vehicles which enables us to monitor your journey every step of the way. All our drivers are uniformed, professional, courteous & are there to ensure your booking runs smoothly. Our customer service is unrivalled and we are always here to help, nothing is ever too much trouble.